XMAS Combo! 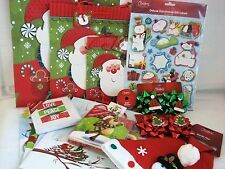 Bags/Cards/Ribbon/Hat/Bows/Tags Free Superfast Dispatch & Shipping!! Kids Xmas Crackers As A Bonus! Festive Bows. What A Fantastic Combo! Christmas Combo! Roll Satin Ribbon 25mm x 4m. Santa Hat With 3D Character. 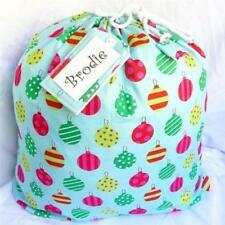 4 Different Design Gift Bags 264x327x136mm Lovely Bright Christmas Designs. XMAS Combo! 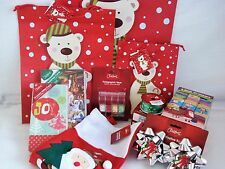 Bags/Cards/Bows/Tape/Ribbon Free Superfast Dispatch & Shipping!! Festive Bows. Christmas Combo! What A Fantastic Combo! Satin Ribbon 25mmx4m. Lovely Christmas tree Pattern Printed design. 1 Roll Christmas Pattern Ribbon. - Perfect for wedding bouquets, party tables, ,vases, cake stands, chairs and other special Crafts. - Material: Polyester, Total Lenght: Approx. 10 x Self adhesive bows. Category Christmas. WooCategory1 Christmas. Country/Region of Manufacture Unknown. Main Colour Red & White. Add a finishing touch to a gift this festive season. Can I have my order faster?. 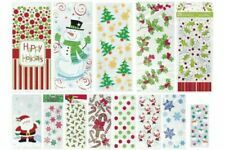 1 Roll Christmas Pattern Ribbon. - Lovely Christmas tree Pattern Printed design. - Material: Polyester, Total Lenght: Approx. 20 Yards, Width: Approx. 10 x Self adhesive bows. Category Christmas. WooCategory1 Christmas. Country/Region of Manufacture Unknown. Main Colour Gold. Add a finishing touch to a gift this festive season. Can I have my order faster?. 10 x Self adhesive bows. Category Christmas. WooCategory1 Christmas. Country/Region of Manufacture Unknown. Add a finishing touch to a gift this festive season. Main Colour Silver. Nav Category lvl 2 Garlands. 10 x Self adhesive bows. Category Christmas. WooCategory1 Christmas. Country/Region of Manufacture Unknown. Main Colour Red. Add a finishing touch to a gift this festive season. Can I have my order faster?. 10 x Self adhesive bows. Category Christmas. WooCategory1 Christmas. Country/Region of Manufacture Unknown. Add a finishing touch to a gift this festive season. Main Colour Silver & White. Nav Category lvl 2 Guest book. 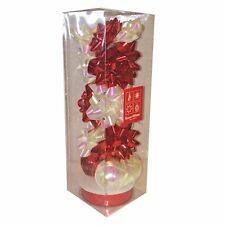 6 x Red Self adhesive bows. 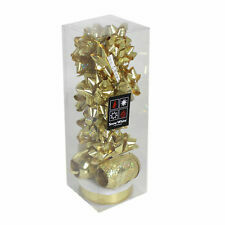 3 x White Self adhesive bows. Category Christmas. WooCategory1 Christmas. Country/Region of Manufacture Unknown. Can I have my order faster?. Disney / Character. Calendars / Diaries. 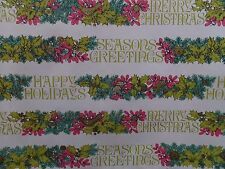 1 Roll Christmas Pattern Ribbon. - Lovely Christmas tree Pattern Printed design. - Material: Polyester, Total Lenght: Approx. 20 Yards, Width: Approx. 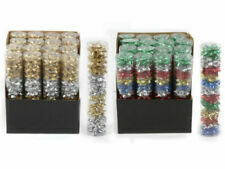 - Perfect for wedding bouquets, party tables, ,vases, cake stands, chairs and other special Crafts.